At noon on Thursday, November 12, A Little Lunch Music will present the Auburn Indian Music Ensemble featuring vocalist Riddhi Bandyopadhyay (her music will automatically play when opening her website at riddhibandyopadhyay.com). Led by Raj Chaudhury, the group’s repertoire includes mostly music from the north Indian classical tradition, though it often presents sounds and ideas from south Indian carnatic music. Ms. Bandyopadhyay’s latest project highlights the music of five Bengali poets. On Thursday, she will perform pieces accompanied by members of the ensemble. In addition, Riddhi and the ensemble will present a song by Nazrul Islam and a Rabindranath Tagore song together. The performance is being sponsored by Phyllis Stanaland and Anonymous Friends of the Series. The café menu is available online. The Auburn Indian Music Ensemble led by Dr. S. Raj Chaudhury comprises students in a semester long class where they learn fundamentals of Indian classical and semi-classical music. The students in the group come from varied musical, educational and cultural backgrounds and thus bring a rich diversity of experiences with them. This music is based on the system of ragas (melodies) and talas (rhythms). The vocal performances of the group feature a variety of traditional instruments such as harmonium (organ), tabla (drums) and tanpura (drone). Bansuri (bamboo flute), sitar (six-stringed lute) and veena (South Indian lute) are instruments that are featured in the group’s compositions. The website auburnsangeet.wordpress.com has more about the class. 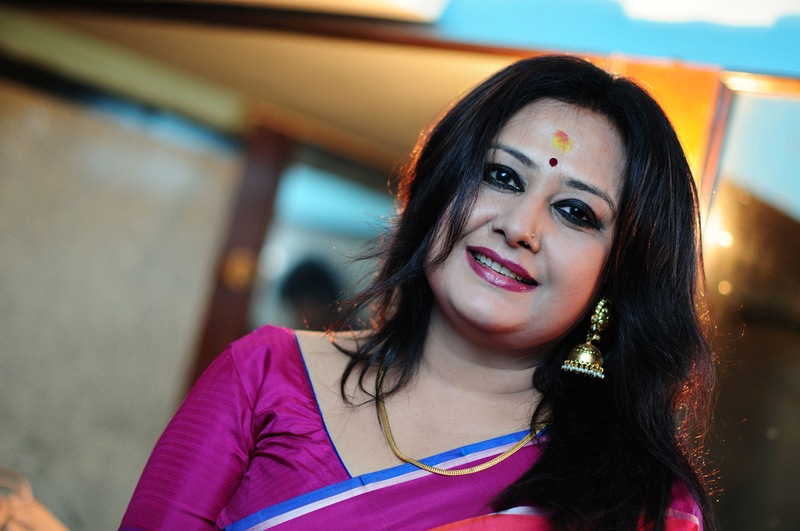 With her latest project, Panchakabir Gaan, Riddhi Bandyopadhyay has conceptualized the musical harmony created by pioneering Bengali poets and composers. She feels that she has helped to revitalize the public’s awareness of the “Songs of five Bengali poets,” namely Rabindranath Tagore, Kazi Nazrul Islam, Dwijendralal Roy (D.L. Roy), Rajanikanta Sen, and Atul Prasad Sen.
A regular performer on television and radio in both India and Bangladesh, Riddhi also tours extensively in North America, including performing at the premiere Bengali cultural event, the North American Bengali Convention. Riddhi has also appeared at festivals including the International Drama Festival in Toronto and the London Sharad Utsav where she was an anchor artist in 2011. In addition to the music of the five poets, she has also created Songstress, a musical concept that highlights the songs of the “divas of yesteryear”, many of whom were courtesans. She has collaborated with artists such as Soumitro Chattapadhyay, Bijoylakshmi Burman (with red light area children), Krishna Bose and Sugata Bose. She performed the music of Rajanikanta Sen with other Bauls (mystic Bengali minstrels) and Goan musicians at an event sponsored by the Portuguese Consulate in Kolkata. Riddhi has developed a comprehensive sociological and historical study on Bengali music. She has been a lecturer and demonstrator at Barddhaman University, Paschimbanga Bangla Academy, Paschimbanga Natya Academy, and Raja Sangeet Academy. Riddhi’s musical guides have been Debiranjan Bandyopadhyay, Dr. Sailen Das, Krishna Chattopadhyay, Sushil Chattopadhyay, Pandit Ajay Chakrabarty, Dr. Devajit Bandyopadhyay, and Agniva Bandyopadhyay. Her music can be heard on her website riddhibandyopadhyay.com as well as on her YouTube channel. Trained in classical and semi-classical traditions of North Indian music, Dr. S. Raj Chaudhury is the founding director of the Auburn Indian Music Ensemble, which was started in Fall 2010. His training is in the classical musics of North India with a focus on the music of Rabindranath Tagore. He has led similar music ensembles while a doctoral student at University of California, Los Angeles; at Christopher Newport University in Virginia; and within Indian cultural groups wherever he has lived in the United States. 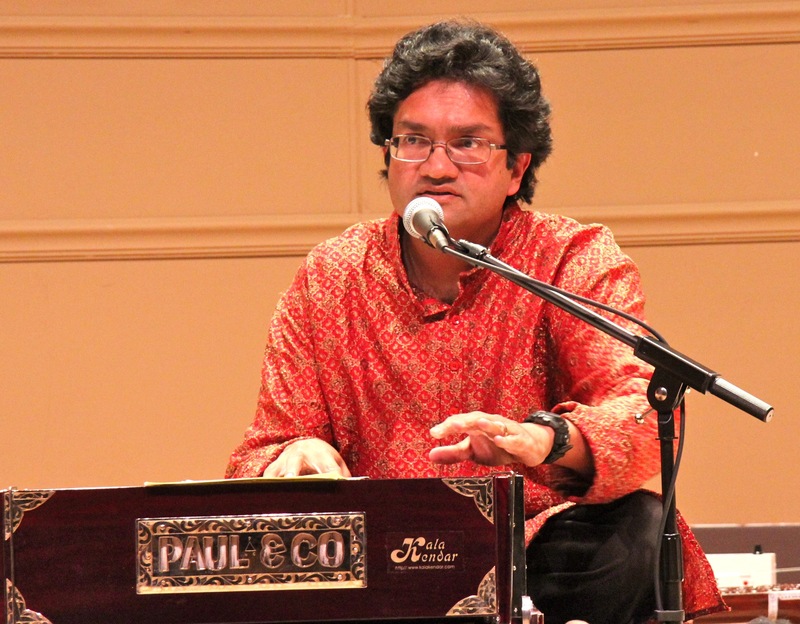 A vocalist by training, Dr. Chaudhury plays harmonium, tabla, and tanpura. In 2015, Chaudhury joined the Office of the Provost at Auburn University as Special Assistant for International Programs and Auburn Online. He previously served as Associate Director of the Biggio Center for the Enhancement of Teaching and Learning. His academic training is in Physics and Physics Education.